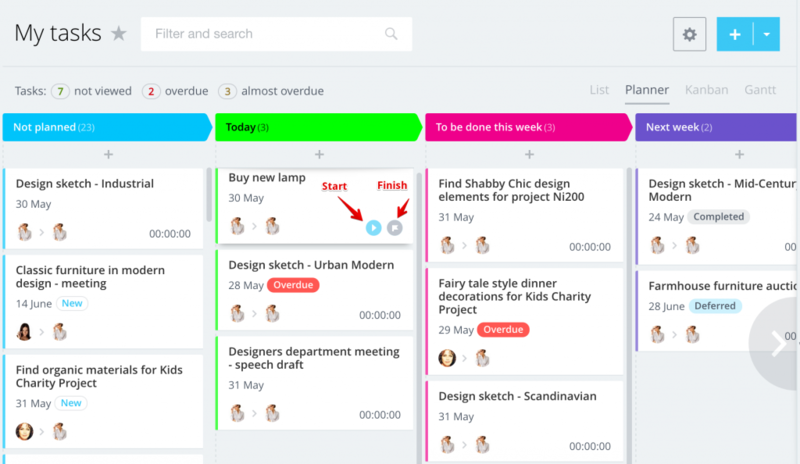 Please note that Task Planner does not take into account tasks deadlines. 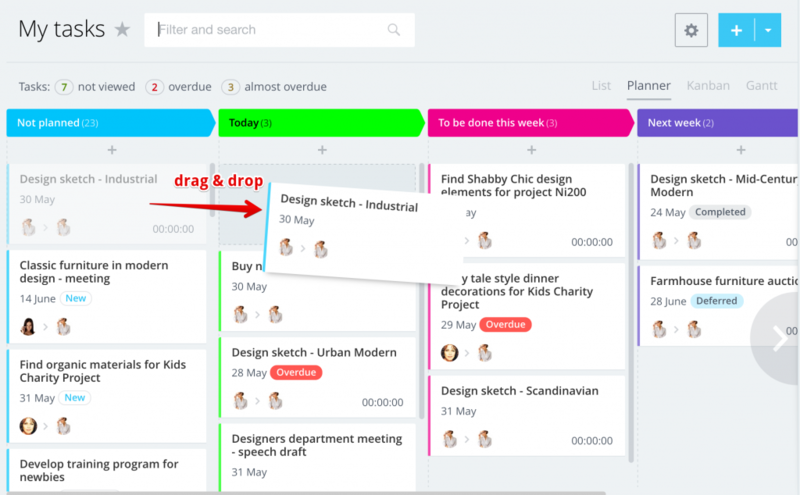 Task Planner is a tool that each user (who have access to tasks) can find under Tasks section. 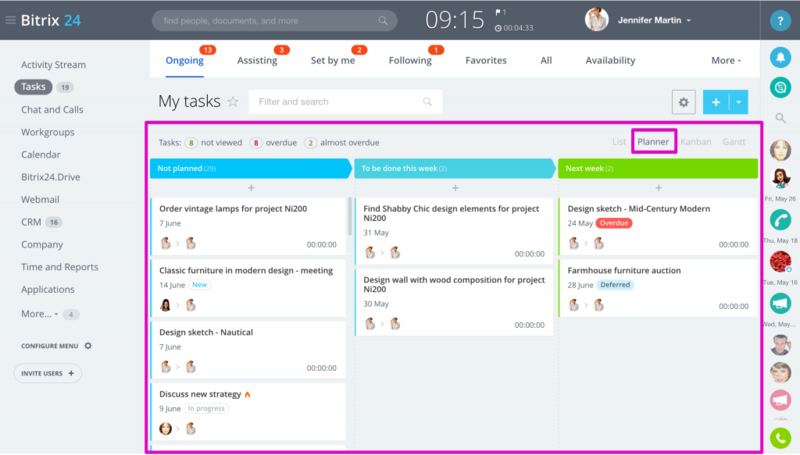 But, you can also go to the other user's Profile > Tasks & see your colleague's Task Planner board (provided you have enough permissions). 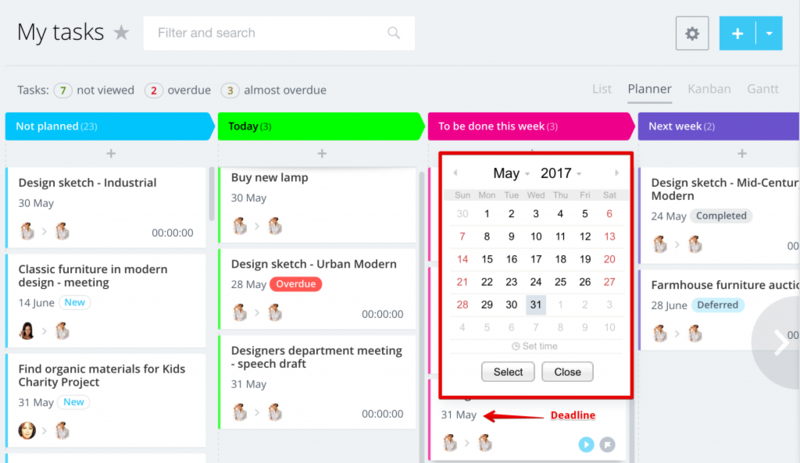 You can add new tasks at the colleague's Planner - in this case the Planner owner will be assigned as task's responsible person by default. 1. Stages: add new stages (plus icon), customize stage name (pencil icon) & color. Drag & drop stages to reorder. 3. Deadline: set or change task deadline right from the Task Planner board (click on task card calendar icon). 4. Involved users: change task responsible user or creator. 7. 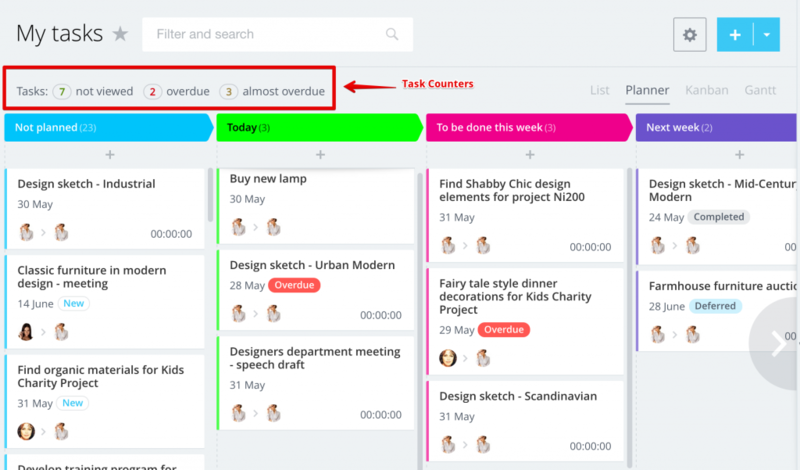 Counters: use counters located above the Task Planner board to switch between Not viewed, Overdue or Almost overdue tasks. Who can view my tasks planner and tasks? 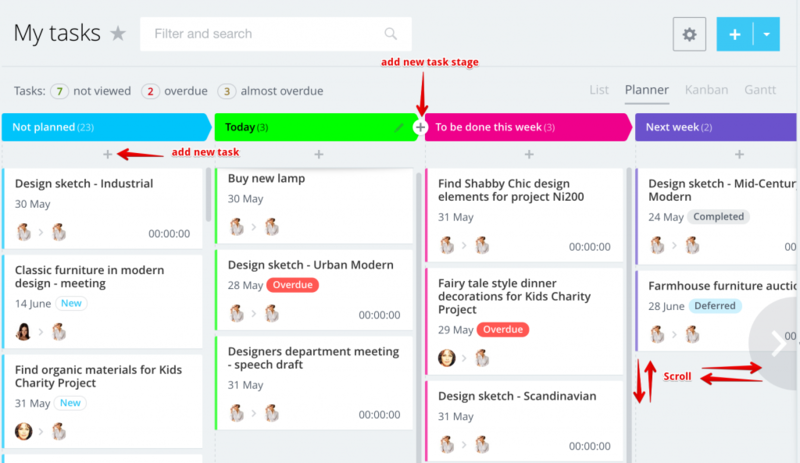 If your colleague opens Tasks tab in your profile, he/she sees only stages names. He/she doesn't see tasks (except for tasks that this colleague participates in). Only administrator and employee's supervisor can view all the employee's tasks.